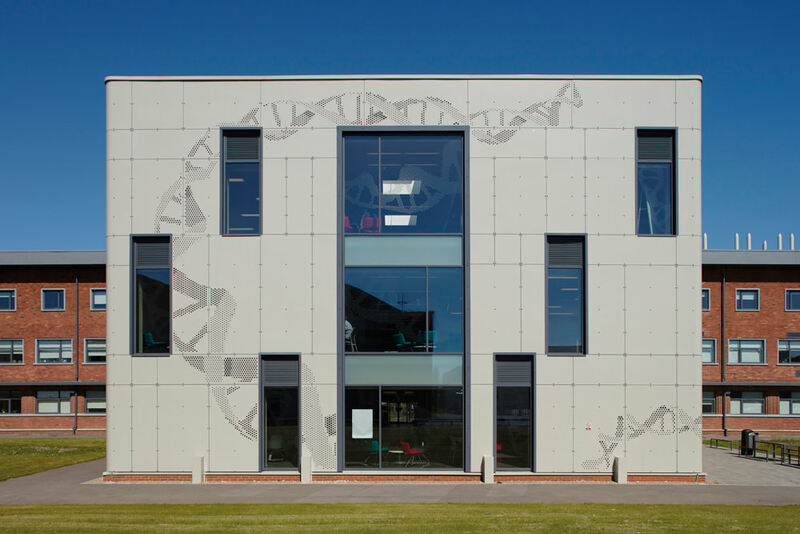 Becor House, an existing 1940s landmark building, and the adjacent Minster House have both been extensively refurbished and significantly extended to accommodate the University of Lincoln’s expanded College of Science. Architects Marchini Curran Associates invited us to work on the cladding designs, which would be focal point of the overall building. 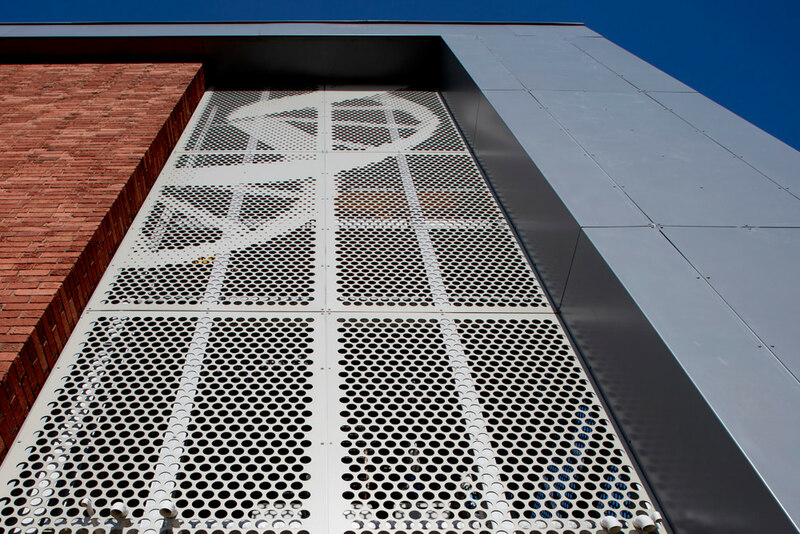 The project involved the creation of a design for 3D revolving DNA strands, which would spread over the six metre high main entrance and vent covers at each end of the building. 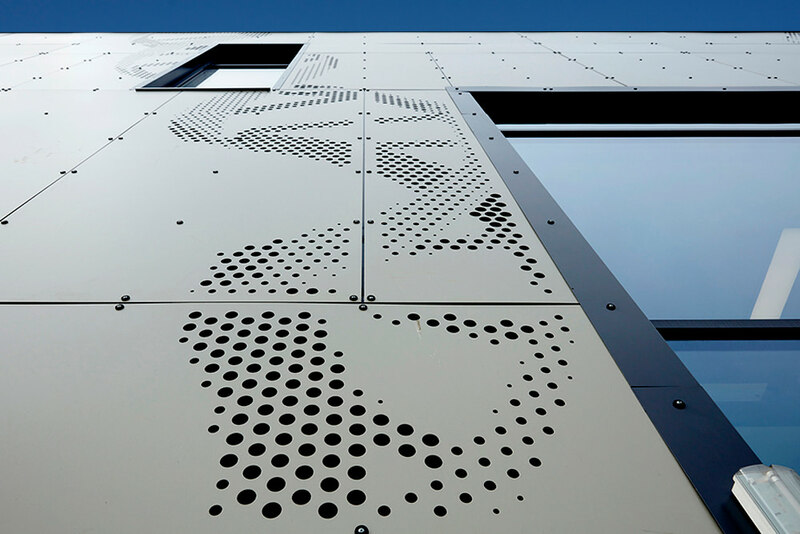 The most challenging and time consuming part of the project was creating the 3D appearance, as the tooling available restricted us to just three different sized diameter holes. Now all complete, the end result looks excellent and it is a project that Fuse Design is proud to have been involved with.